Here’s the updated IPL 2019 points table. The group stage will see a total of 56 matches being played over its entirety with each side contesting in a total of 14 matches, 7 home and 7 away matches. The top 4 sides will find themselves in contention of a place in the marquee summit clash with the top two sides playing the first qualifier ensuing the second qualifier between the loser of Q1 and the winner of the eliminator between the third and fourth placed franchisee. If the Teams have same points in the IPL standings after completion of the group stage matches, the team with higher NRR will rank higher in the IPL points table. Traditionally the minimum points being needed to make it into the coveted top 4 spot is 14 points with no team accumulating lower points finding themselves in the top 4 till date. The maximum points garnered after 14 points are 22 across all seasons of the IPL, a figure that 5 teams have managed to reach. Another award that is presented at the end of the tournament is the fair play award based on how each team is adjudged to have lived upto the rules of the game and conducted themselves on the field. The IPL Fair Play Award 2018 was given to the Mumbai Indians. The award judged by a panel of umpires officiating the matches of the exhibition league with points out of 10 given to each team after their respective matches. Before the commencement of the season, the captains of all the 8 sides assemble to sign the fair play pledge to ensure that the game is rightly observed during the IPL season. CSK has won six Fair Play awards in IPL, while Kings XI Punjab, Mumbai Indians, Gujarat Lions, Rajasthan Royals and Sunrisers Hyderabad have won once each. Let’s see who wins IPL Fair Play Award 2019. Do you have any favorites? 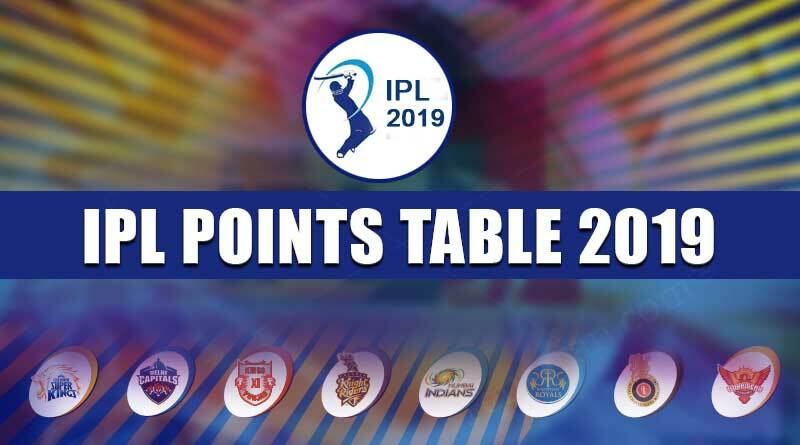 Keep visiting for the updated IPL 2019 points table. For more articles like ‘IPL 2019 points table’, do follow us on Facebook, Twitter, and Instagram.